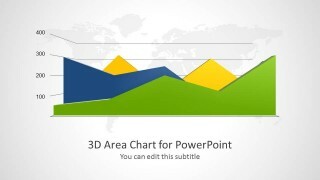 Appeal to professional audiences using creative demographics from 3D Area Chart for PowerPoint. Attractive visuals always stimulate focus and interaction with presentations. 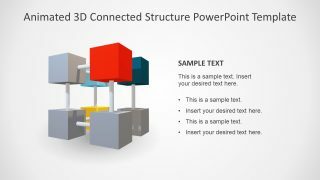 Step up with impressive 3D PowerPoint shapes. The comprehensive design can absolutely deliver easy understanding and good memory retention. 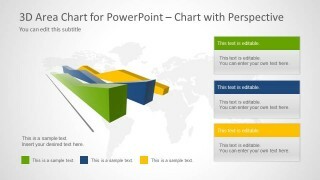 Ideal for geographical reports, the PowerPoint template simply collects different areas to one diagram. It is perfect for business planning that includes area management, landscaping, construction and architecture. The corresponding companies study the platform, terrain and other matters regarding geography. Before venturing to an expansion for example, an entity has to make sure that the location is according to plan. Other concepts such as archaeology, strategic planning, and community development can also find this layout useful. 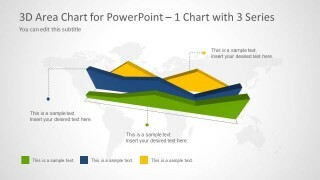 Area charts illustrate quantitative data through meaningful and graphical diagrams. In general, they showcase two or more quantities. The polygon shape after tracing all the points is usually filled with color or texture. Sometimes the shapes overlap while in some cases, they are stacked on each other. Their outputs are presented in percentage form. 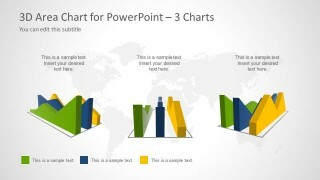 There are 5 unique slides in the PowerPoint template. 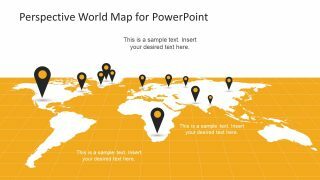 The first 4 slides have a light grey world map outline. The first slide displays the diagram in a front perspective. 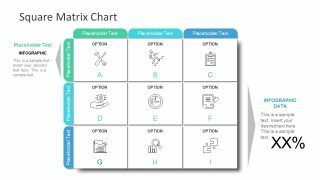 A graphical grid is also shown which makes it easier for the audience to identify the values. The 2nd slide features 3 sets of diagrams. On the bottom part, the presenter can create a color legend. The 3rd slide has an overhead angle on the area chart. The user can write descriptions on corresponding text boxes on the 4th slide. 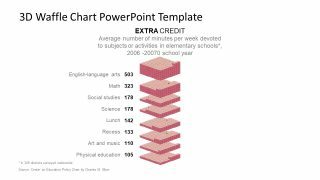 The final slide has 3 sets of charts like the 2nd slide. Here, the user can use the text boxes on the bottom for a quick explanation. Expand ideas with smart diagrams with 3D Area Chart for PowerPoint. 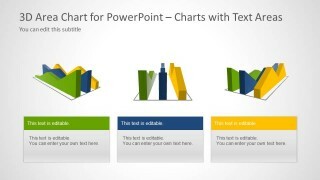 Area Chart Template for PowerPoint is another stunning area chart collection. It can be downloaded at the SlideModel gallery together with other creative templates.